We love this community because we live on the same streets and in the same towns as the customers we serve. You invest time and resources to build the life around you, and we help protect it. We like to think of our customers as family, and the moment you need us, we are just a call away. 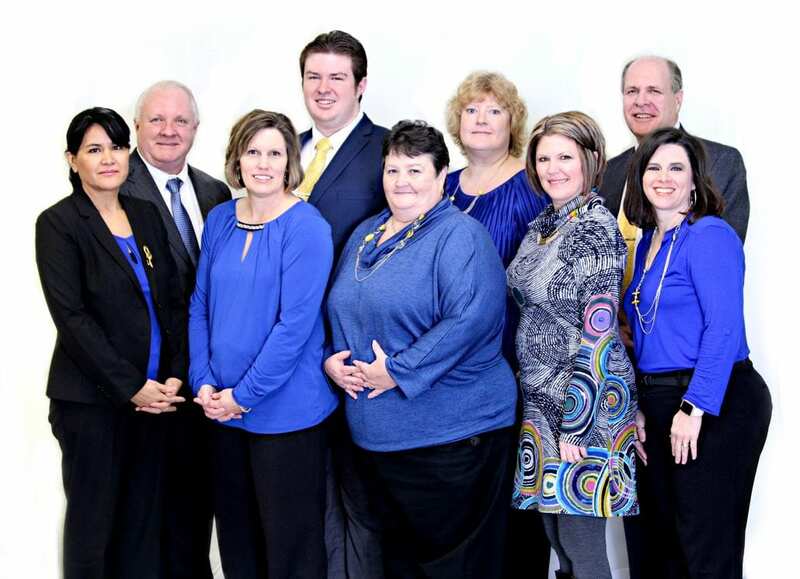 With Dickey Mccay, take comfort in a team of insurance professionals on your side. Dickey McCay Insurance Welcomes You! Dickey McCay Insurance Agency has proudly provided insurance solutions throughout Georgia, Tennessee, and North Carolina. With offices in Copperhill, Tennessee and Tellico Plains, Tennessee, and more than eighty years of experience dedicated to serving and supplying the insurance needs of families and businesses. With its dedication and expertise, Dickey McCay Insurance has become a trusted and valued source for auto insurance, homeowners insurance, flood insurance, renters insurance, personal articles and marine inland insurance, business owners policies, cyber insurance, general liability insurance, workers compensation insurance, individual life insurance, individual and family health insurance, and group benefits such as group health insurance and group life insurance. When it comes down to it, insurance is all about protection, and at Dickey McCay we are here to serve you. We are in the people business, so if you have a need, Dickey McCay Insurance will find the right insurance carrier and product solution. Whether you need to insure your car with auto insurance, protect your home with homeowners insurance, secure a loved one with personal insurance or safeguard a general contracting business, Dickey McCay Insurance Agency has the right insurance solution for you. Our reach and expertise does not stop with our brick and mortar locations. We provide insurance services to regional areas as an extension of our physical locations. Locally, Dickey McCay serves Murphy, North Carolina; Blue Ridge, Georgia, McCaysville, Georgia, Mineral Bluff, Georgia; Andrews, North Carolina; Blairsville, Georgia; Madisonville, Tennessee, and Sweetwater, Tennessee. We are in the people business, so if you have a need, Dickey McCay Insurance will find the right insurance carrier and product solution. Whether you need to insure your car with auto insurance, home with homeowners insurance, a loved one with personal insurance or a general contracting business, Dickey McCay Insurance Agency has the right insurance solution you. Our employees live, work and play alongside you, and recognize each industry, community and individual’s unique needs. We do more than sell products and services: We firmly believe in protecting the needs of families and businesses throughout the South. We care about protecting what is important to you. We don’t believe in a one-size-fits-all insurance policy. We listen, ask questions, make recommendations to fit your needs before offering a customized package of products and services to suit your budget and situation. We believe in providing you the right products and service options for your current or busy lifestyle without compromising quality. Our warm and caring office staff welcomes calls and visits to any of our locations. We offer an easy-to-use online quote system and contact form. We believe in educating our customers about insurance policies, new insurance opportunities and coverages, range of products and services offered, and examples to help with understanding. We strive to make the information helpful, jargon-free, and easy to read. Honesty, trust and integrity are our core values. In this business, reputation is everything, and our track record speaks for itself. People, family, community, safety and insurance are words of passion for our company. We have insurance solutions that cover all your bases. Looking for auto insurance, want to protect your home with homeowners insurance, secure a loved one with personal insurance or safeguard a general contracting business? Dickey McCay Insurance Agency has the right insurance solution for you. Many benefits exist for people who insure their homes, automobiles, businesses, and their family and/or individual health. To give you an overall idea of how the insurance that Dickey McCay offers will bring you, your business, and your family the peace of mind that comes with the preparation for a rainy day, below is a quick overview of each type of insurance we offer at both physical locations and to the surrounding areas where we will travel to serve you. Most auto insurance policies are for six months to a year, and Dickey McCay and the insurance companies we work with will notify you when it is time to renew your vehicle’s policy and to pay your insurance premium. When you pay your car insurance premium, the insurance company copacetically agrees to pay your losses as defined in your policy through Dickey McCay. Auto insurance through the 35 companies that work with Dickey McCay provide property, liability and medical coverage. Homeowner’s insurance provides financial protection against disasters that can occur to you and your family’s home through one of our North Carolina, Tennessee, or Georgia locations. A standard policy provided through Dickey McCay insures the home itself and the furniture, memories, and the other articles you keep in your home that are important to you. Homeowners insurance is typically a package policy meaning that it covers both damage to your property and your legal responsibility for any injuries and/or property damage to you or others. Damage caused by most disasters is covered but there are exceptions such as damage caused by floods, so Dickey McCay will you help you fully protect your home with flood coverage. Our flood insurance policies and the incredible companies we work will typically reimburse you for all covered building losses up to $250,000 for residential occupancies and up to $500,000 for businesses. Contents coverage is also available up to $100,000 for residential occupancies and up to $500,000 for businesses. Personal Articles and Inland Marine Insurance: These types of policies offered through Dickey McCay cover personal items in the policyholder’s possession that are not covered by your typical homeowners insurance policy which only offers between $1,500 – $2,550 of coverage for your assets such as jewelry, guns, antiques, furs, sports equipment, musical instruments, and other valuable personal property. Business Owners Policy Insurance includes property insurance for buildings and contents owned by the company as well as business interruption insurance which covers the loss of income that may result from a fire or other unforeseen disasters that interrupt the operation of the business and/or the expense of operating out of a temporary location. Additionally, business owners policy insurance comprises liability protection, which covers your company’s legal responsibility for the harm it may cause others. General Liability Insurance helps protect the policyholder’s business from property damage claims, bodily injury claims, and/or personal and advertising injury claims. For instance, general liability insurance helps protect you and your business if a customer slips and injures him or herself at your business then your general liability insurance policy can help pay for the damages. We have a knowledgeable and trustworthy team that knows the pieces you need to protect and cover you and your assets if you are a large or small business or even a general contractor. We can Safeguard your investment. Dickey McCay Insurance Agency has the right insurance solution for you. If one of your employees is injured, worker’s compensation insurance assures that the injured worker gets medical care and compensation for part of the income they lose while they are unable to return to work. Dickey McCay also offers policies that protect employers from lawsuits by workers who may be injured while working. Another benefit is that workers receive benefits regardless of who was at fault in the accident. Additionally, if a worker is killed while working with your business then workers comp will provide death benefits for the worker’s dependents. Individual life insurance policies work so that you will pay premiums to one of Dickey McCay’s excellent insurance companies over time, and, in exchange, the company will pay a lump sum amount to a/the designated beneficiary/ies upon your death. The money from your life insurance policy can help your recipient to pay bills and assist in supporting your surviving family members’ living expenses. We will also help you if you need to adjust the amount of your life insurance policy in the case of major life events such as buying a home, getting married, or having a child. Since there is no certain amount of life insurance you need, there are life variables that our agents in Blue Ridge, Georgia, McCaysville, Georgia, Mineral Bluff, GA, Tellico, TN, Copperhill, TN, Murphy, NC and North Georgia can help you consider when deciding how much money to invest in your life insurance policy; for example, if you have dependents you want to provide for or if you want to leave an inheritance to charities, you may need a bit more life insurance. Individual and Family Health Insurance needs are different for everyone, which is why Dickey McCay offers a variety of options through our many different selections of reputable and experienced insurance carriers to make sure you have the coverage you need at an affordable cost. Since everyone is different with such different needs for his or her lifestyles whether it be due to his or health, income, family, etc., we will work with you to create a plan that works best for you and your family. Dickey McCay Insurance Agency has the right life insurance solution for any client’s needs. Get in touch today for a free quote! With a wide range of coverage options and eight decades of experience creating unique policies for individual customers as well as their businesses and families, Dickey McCay has expanded to offer two agency locations from which they operate to serve and protect their loyal and valued customers. Additionally, Dickey McCay’s experienced agents are dedicated to you, their valued customers, and are willing to travel to meet your needs in creating an insurance policy that works for you. Their main office is located in downtown Copperhill, TN at 146 Ocoee Street and their other office is located in Tennessee as well in the beautiful community of Tellico Plains. At both insurance locations, the knowledge base has a combined experience level of eighty years worth of insurance expertise working with many different well-known and trusting insurance carriers and offering a wide variety of insurance services that works congruently with your budget, concerns, and lifestyle. Dickey McCay Insurance’s reach and expertise does not stop with our Brick and Mortar locations in Copperhill and Tellico Plains Tennessee, however. We also provide insurance services to regional areas as an extension of our physical locations serving Murphy, North Carolina; Blue Ridge, Georgia; Andrews, North Carolina; Blairsville, Georgia; McCaysville, Georgia; Ducktown, Tennessee; Madisonville, Tennessee; and Sweetwater, Tennessee. Whether you need business insurance to protect against cyber theft or daily worker issues to homeowners insurance to secure your home assets, we will customize a plan to suit your needs. Discover what the Dickey McCay advantage can do for you by calling our main office at (423) 496-3366 to talk with our insurance specialists. Dickey McCay Insurance represents a wide spectrum of insurance companies, which provides us the flexibility to offer you affordable prices and individualized options. Additionally, with a combined 80 years of insurance experience, our exceptional staff has the skill and know-how to recommend home, auto, life, individual and group health or commercial insurance that may be best for you. In addition, we also provide financial planning products including annuities, life insurance, cyber insurance, disability insurance, and individual health insurance or group health insurance. Plus, our insurance carriers have all earned the highest ratings in the insurance industry.